A SPF 15 lip balm –Next Day is hugely favored by advertisers who are considering some last minute gifting options. This sunscreen protectant is empowered with richness of sunscreen protection, moisturizing agents, and skin enriching components. It offers protection from wide spectrum of UVA and UVB rays. Advertisers who are working in typically lower budget can seek it for bulk promotions and get favorable discounts. It spreads the silken charm over lips and saves it from drying out during scorching heat or other unfavorable atmospheric conditions. Health Quotient – No low quality or banned synthetic elements used in formulation. Harsh sunscreen elements are avoided. No synthetic flavors, or taste enhancers included. 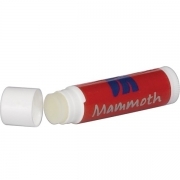 Directions – Rub SPF 15 lip balm over lips or smear it over lips using fingers. 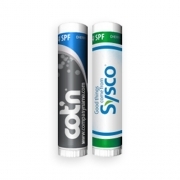 Gifting Favors – A custom promotional SPF 15 –Next Day lip balm can be favored for any outdoor campaigning because it offers high sunscreen protection. And beautifies the skin with its silken charm. It makes a wonderful promotional gift during outdoor marketing events.